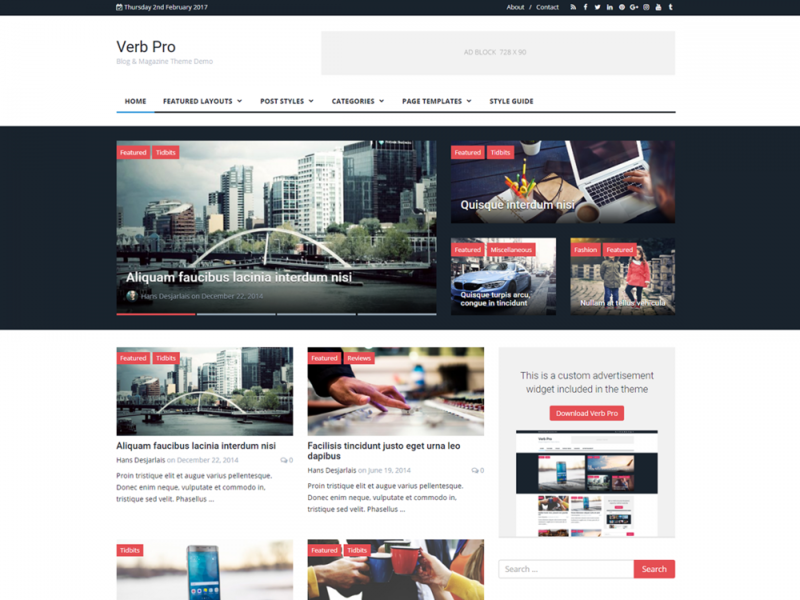 Start your own blog or online magazine with Verb. Easy-to-use theme customizer allows you to easily customize your site settings, colors and layout. Display your posts in standard, classic, modern, blog, grid or 2 column layout to suit your needs. Highlight your content on the homepage with 5 different featured post layouts. 4 custom ad spots to easily monetize your site and includes a custom advertiser/sponsor widget. Includes 10 elegant & popular Google Fonts to easily customize your theme’s titles and content font styles. Allow easy navigation with an elegant fly-out menu on desktops and shift menu on mobile devices.